Comments: Fan palm native to China. Possibly the most cold hardy palm available. Fans are deeply divided and the ends tend to droop. This palm species is not self cleaning and needs pruning to prevent a grass-skirt developing. 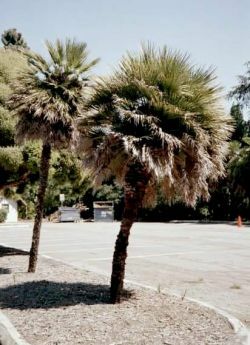 Several of these palms are growing in the California Nursery Historical Park.